Was there ever some point in your life where you are so tired of renting and wanted to settle to an actual house that you can call your own and make it home? The concept of rent-to-own actually does make it possible to happen. As the idea may sound pretty easy and smooth to you, you would, however, go through a lot of paperwork and a lot of related things just to make it happen. But worry not, you can check out some Sample Contracts that you might find useful and helpful on your personal endeavors for free. 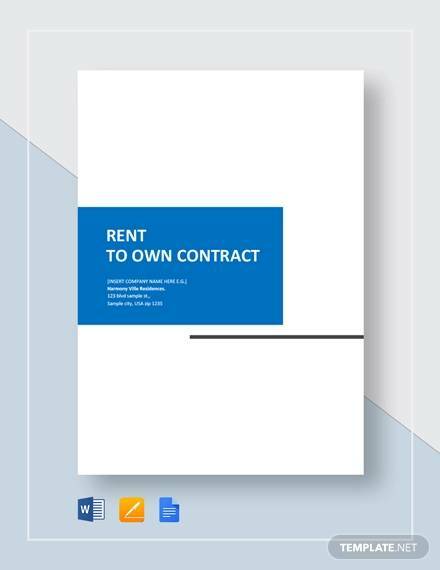 It is highly necessary to familiarize yourself with rent-to-own contracts, what and how much it covers, or what it specifically contains, and who are the parties involved. 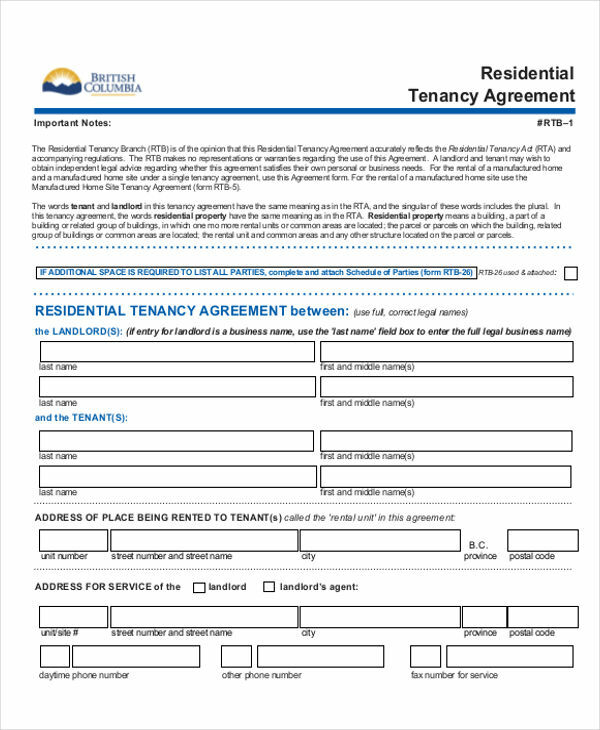 It is also important to take note that “rent to own” is also known as the following: lease purchase, lease option, lease to own, lease with option to purchase, and the like. Even though they’re known to have different names and terminologies, they are just one and they all serve the same purpose. 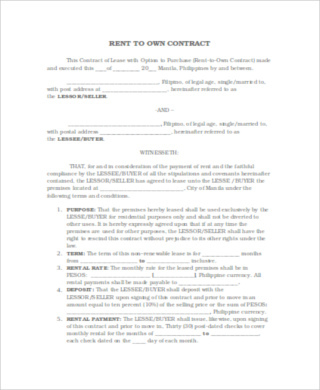 Also for your convenience, you can also check out some Sample Lease Contracts on this page for reference that you might find useful and helpful for free. 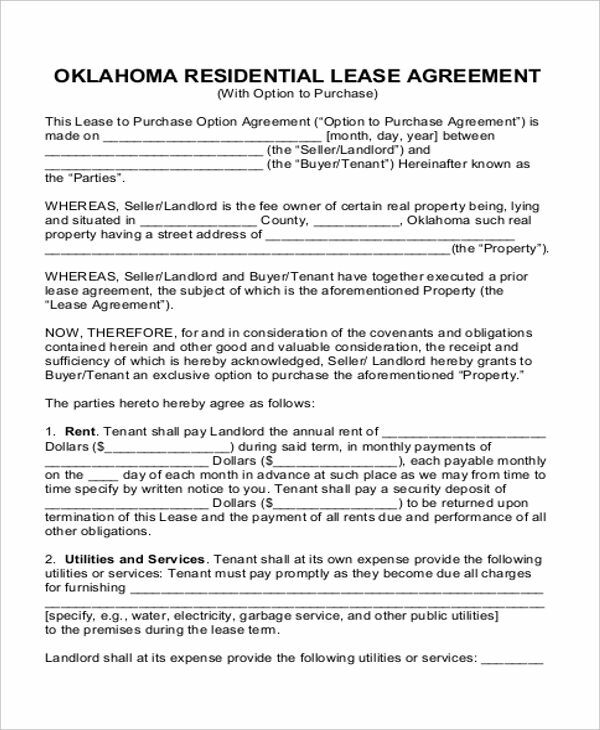 Option Fee – this type of rent-to-own contract is also known as option consideration. 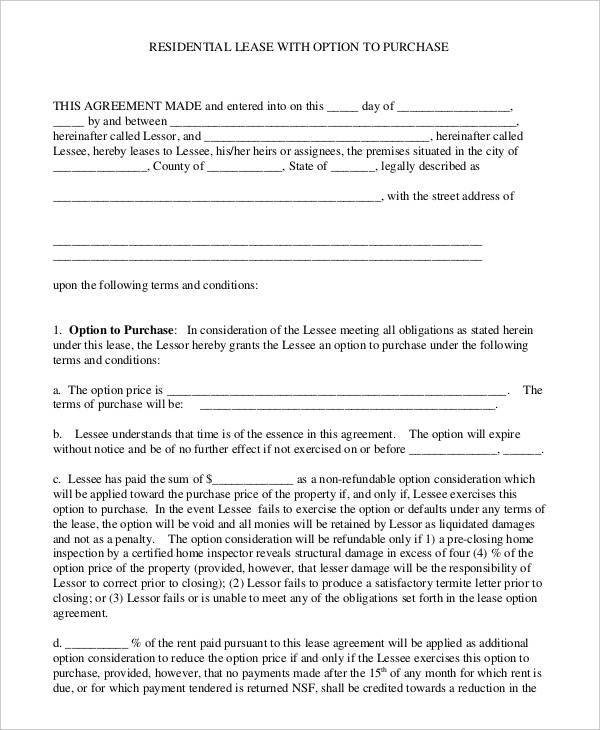 This is where the buyer pays the right or option to purchase the rent-to-own property within limited period of time, which is usually two to three years. Monthly Payment – this is the amount of money that the tenant is paying or will be paying every month to the land owner. Property Value – this is the agreed selling price of the locked-in property. It is usually agreed by the seller and the tenant or buyer to keep the selling price intact despite real estate market changes. 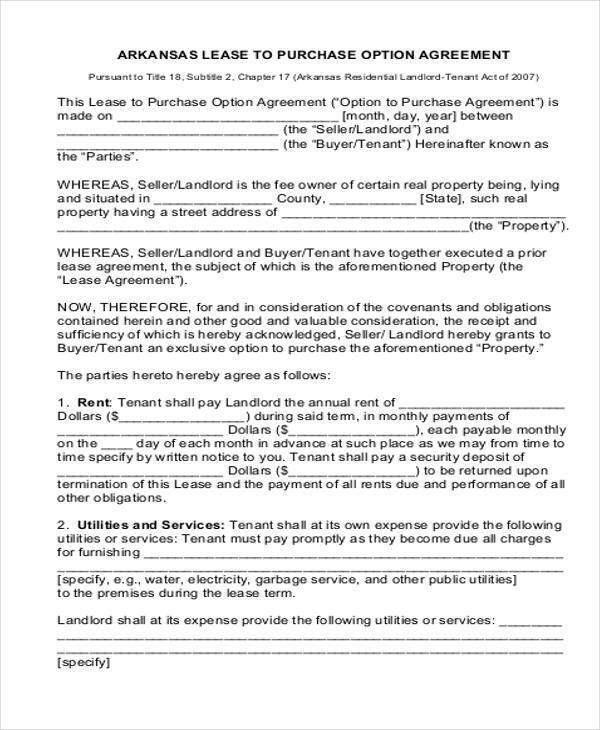 Duration – this is how long the time frame of the rent-to-own agreement is. It is often said that it would usually last for two to three years. 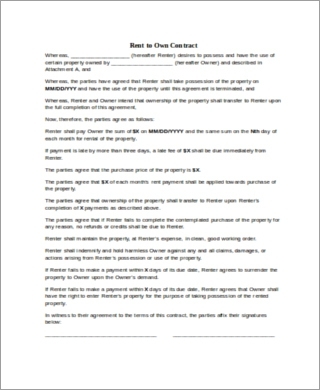 Terms, Rules, and Conditions – this part of the contract would basically talk about the rules, real estate or property taxes, property or house repairs, homeowner’s association fee, and the like. Other than that, you can also check out Sample Sales Contracts on this page that you may find useful or have it as a reference of your own. You can also download it for free. If you cannot afford to buy a home, you can be able to rent the property first, and when the time comes, you can eventually own the house or the property with the rent-to-own concept. If you think or decide that you don’t like to buy the house or the property, you don’t have to buy it.